2014 was so much fun for us at My Theatre (Toronto). We hosted our first-ever My Theatre Award Party on April 7th, hired a handful of new part-time reviewers, and saw upwards of 200 productions between January 1st and December 31st (literally, the last one was at 8pm on New Years Eve). We started the My Theatre Favourites advertising discount program and dove head-first into tons of festival coverage (even braving the Fringe Tent more than once). We travelled to Stratford and Niagara-on-the-Lake, saw more summer Shakespeare than we ever could have imagined, and finally fell in love with opera. We accidentally got in a Twitter fight with the Factory (but, really, who hasn’t done that?). We attended staged readings and classic ballets and puppet shows and magic acts and cabarets and site-specific, interactive, avant-garde “physical performances” nowhere near our comfort zone. We ate pie baked live onstage and drank beer served by characters and joined in a Brazilian drumming circle because “it’s what you do at SummerWorks; for god’s sake, Kelly, stop being such a spoilsport!”. There were sketch shows and stand-up and improv, both the on-purpose kind and the a-prop-broke-so-the-actors-had-to-think-fast kind. There were great performances everywhere from the basement of a pizza parlour to the biggest tour at the Ed Mirvish Theatre. But I have to stop there. There’s less than a week left before our first scheduled performance of 2015 (at the Next Stage Festival) and we need to celebrate what’s been before we can think about what’s next. Any production one of our Toronto writers saw between January 1st and December 31st was considered for nomination, unless it was a remount of something we’d already seen (ie: Soulpepper’s Christmas Carol). If the remount has a new cast member, however, that cast member is eligible even if the production as a whole isn’t. Our Editors and Staff Writers all get a say but we use your votes for tie breakers and to choose a Fan Favourite so be sure to share your thoughts in the comments section, on Facebook and Twitter. Is there Going to be Another Party? ABSOLUTELY. 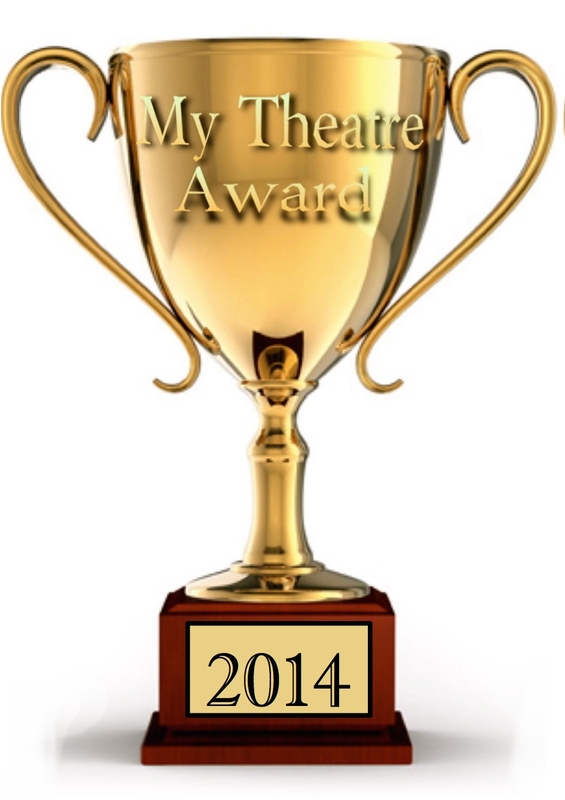 The 2nd Annual My Theatre Award Ceremony & Party will be at The Great Hall (Queen & Dovercourt) on March 30, 2015. More details and official invites to come. And, of course, don’t forget about our annual Nominee Interview Series. Please email kelly@myentertainmentworld.ca to sign up.